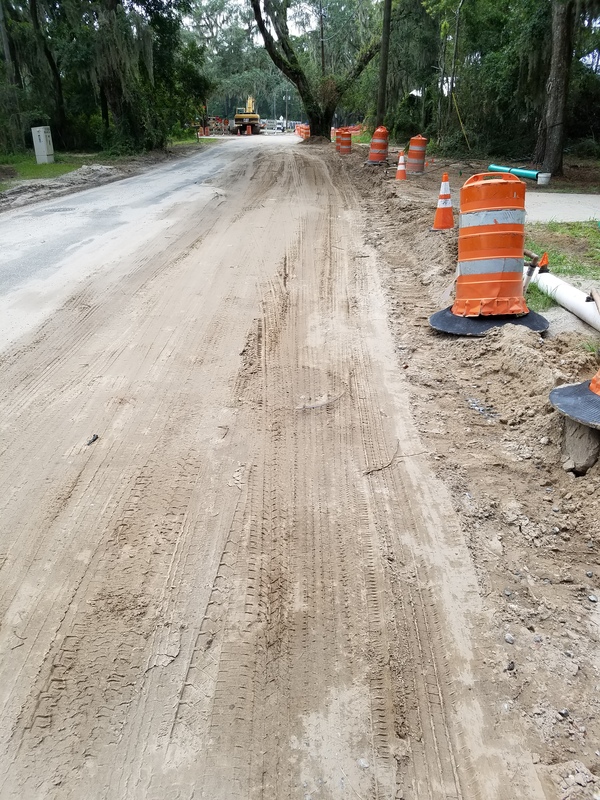 A private utility contractor, Woodard Construction of Waycross, GA, is performing a gravity sewer system installation for the private developer of the Tabby Place Subdivision Project on Saint Simons Island. The BGJWSC does not have any contractual control over the contractor’s means and/or methods as we do not assume project management of private construction. 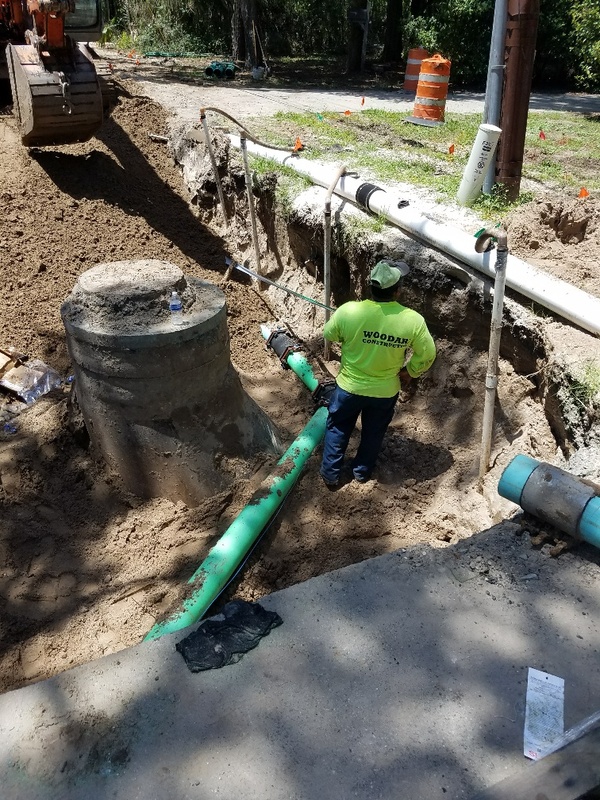 However, BGJWSC staff does routinely inspect the installation of the system to ensure that the construction follows established Glynn County roadway construction standards, BGJWSC water & sewer construction standards and the approved construction plans prior to acceptance and conveyance of ownership. This procedure is regularly required as part of the BGJWSC development review and inspection process. The contractor has complied with all the requests made by BGJWSC and Glynn County during the construction of this project. 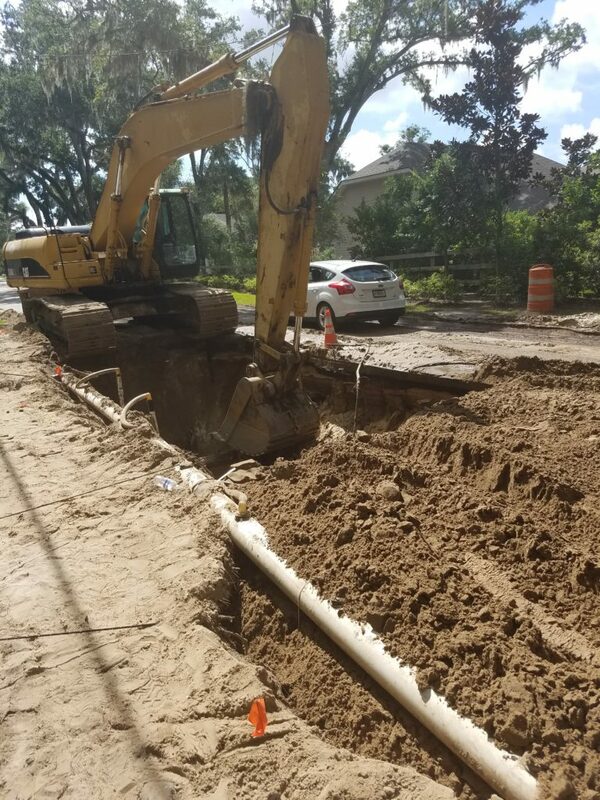 At this time the contractor is approximately 42 linear feet away from the tie-in manhole located on North Harrington Road. Due to rains we have encountered in the past few days, installing the sewer has been difficult because of the amount of ground water present. The contractor has brought two more well-point pumps on site to help control the ground water. Traffic control is in place per Glynn County requirements and standards. The roads are being constantly cleaned by the contractor to minimize impacts to local traffic and pedestrians. Glynn County right-of-way coordinator Chuck Flowers has been on site monitoring the progress and impacts to traffic. 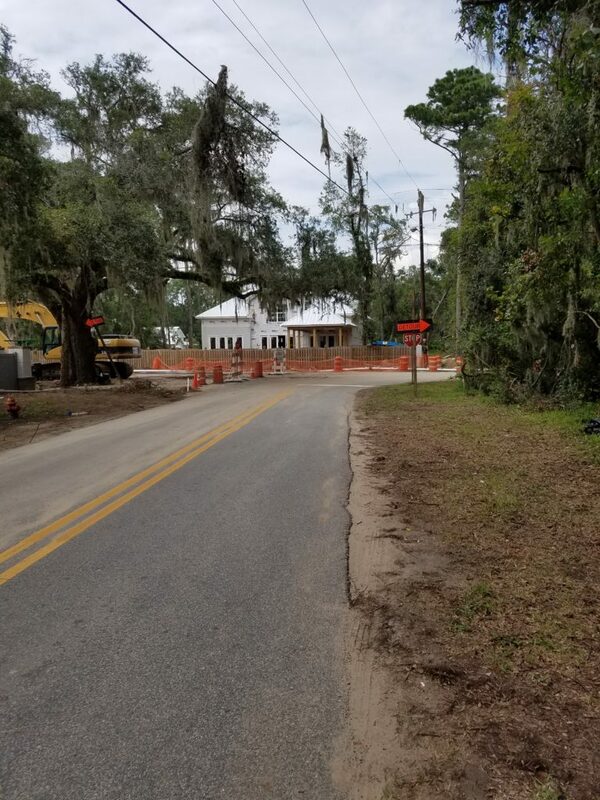 Woodard has been notified by Glynn County and BGJWSC staff regarding local school openings and seeks to complete the tie-in on Friday, install road base over the weekend and start clean up next week. Delays can be expected but we hope that the impact will be minimal. Again, the BGJWSC staff would like to emphasize that we have no project management over this construction. The BGJWSC conducts independent observations only to ensure the water and sewer construction meets our present and future needs. 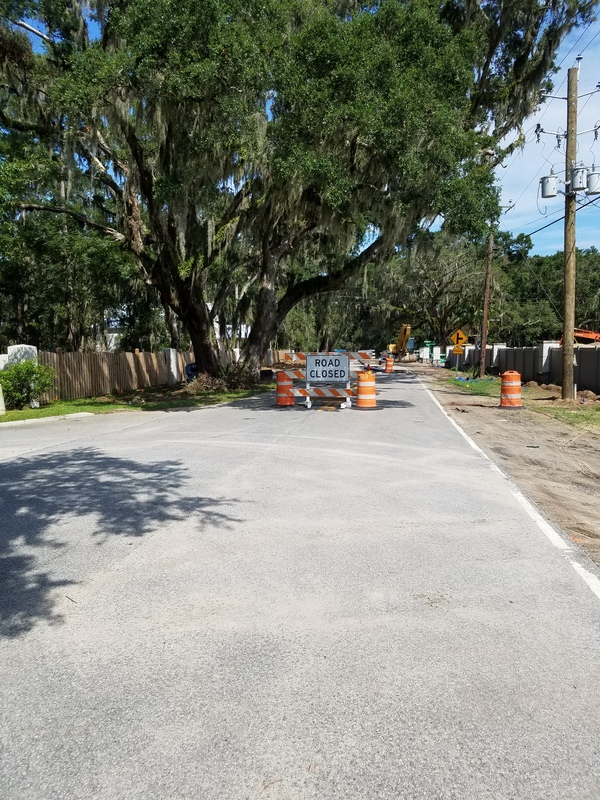 If there are concerns with construction and/or traffic control, this private work is regulated by Glynn County under the right-of-way permit they provided. This entry was posted in Current Project Updates on August 10, 2017 by Jay Sellers.